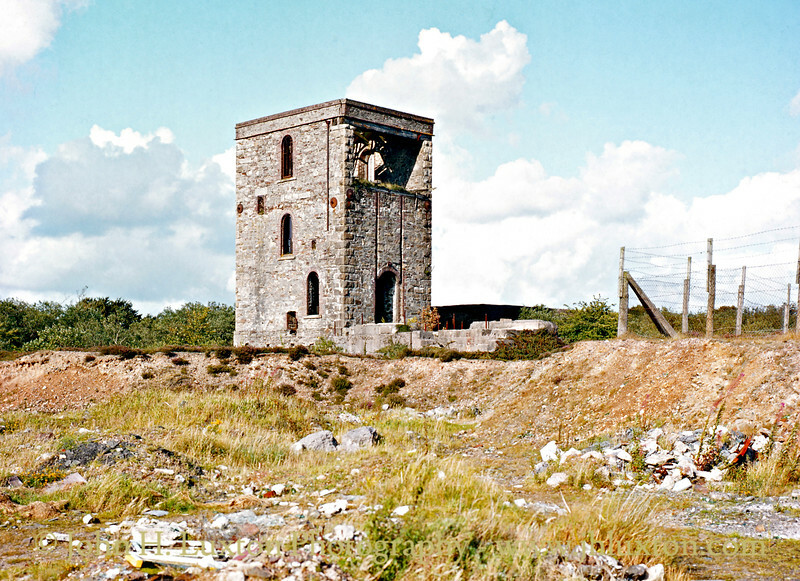 Hingston Down Mine, located near Gunnislake commenced operation around 1850. The engine house on the site was constructed between 1903 and 1905 to house a rotative beam engine, originally built by the Bedford Foundry at Tavistock, obtained from the recently defunct Devon Great Consols nearby. The engine operated pumps and stamps. 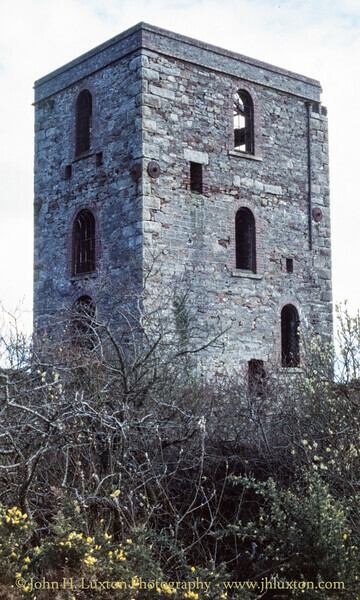 The surviving engine house is located at Baily’s shaft and is unusual as it as it had a flat hipped roof as built and looked very similar in appearence to the engine house that was constricted at the nearby Kit Hill Consols. 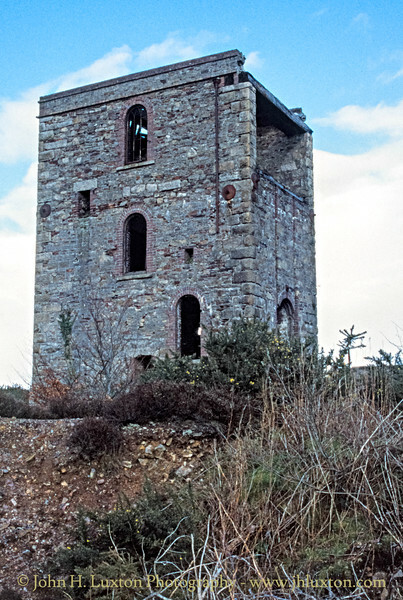 The roof of the engine house remained partially intact into the 1990s. All work at the mine is believed to have come to a halt around the end of the First World War and the site was abandoned by 1926. 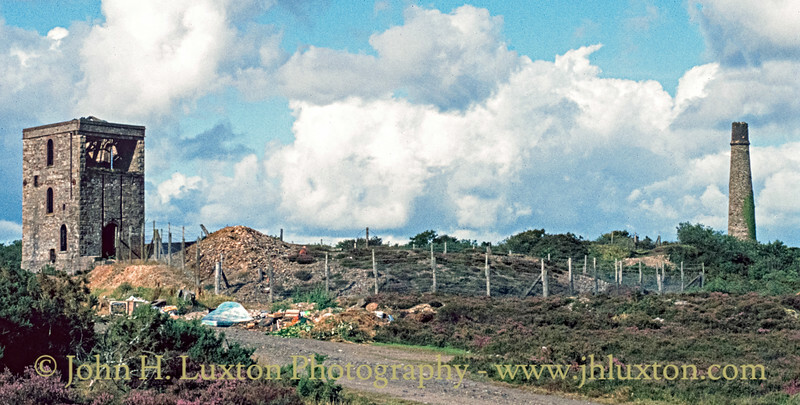 Hingston Down Consols, Gunnislake, Cornwall - August 1982. The engine house which dates from a reworking of the mine in the early 1900s had an unusual flat hipped roof. 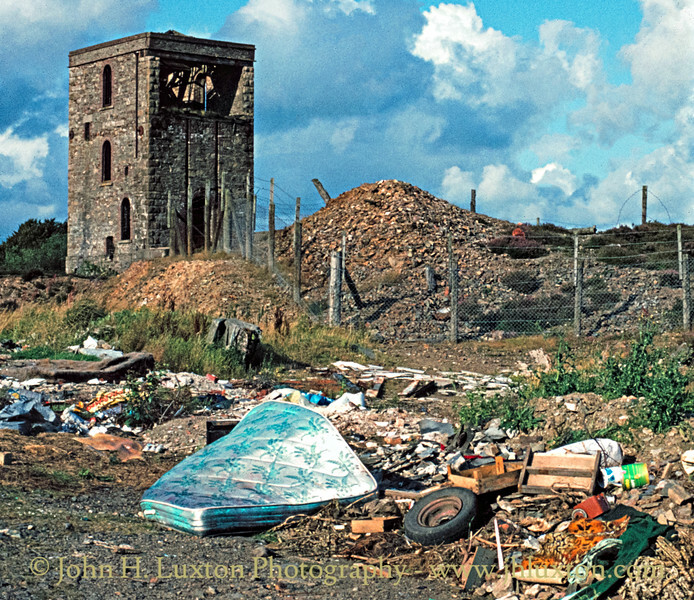 Hingston Down Consols, Gunnislake, Cornwall - September 08, 1982. 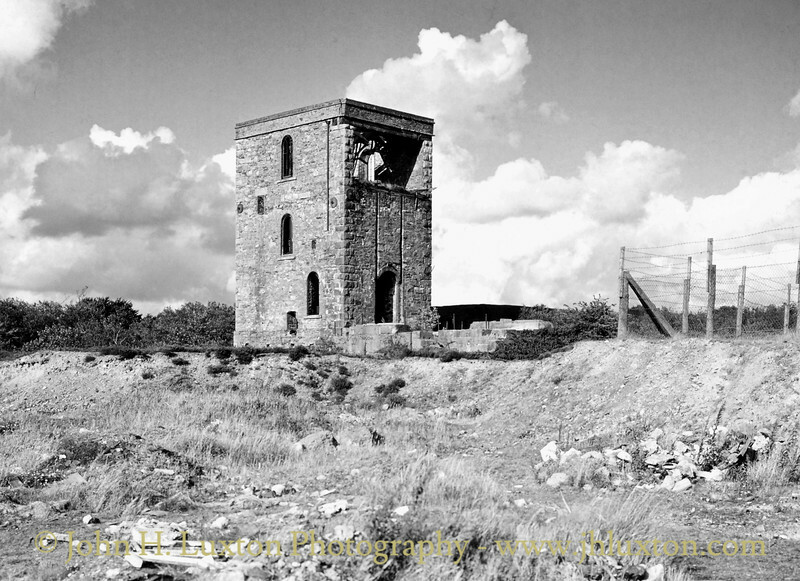 General view of Hingston Down Mine. Fly tipping at Hingston Down Consols, Gunnislake. 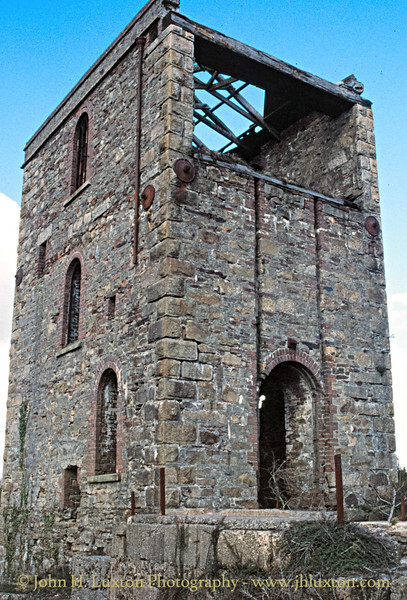 Baily's Shaft Engine House which housed an engine from Bedford Foundry, Tavistock which had previously been used at Devon Great Consols. Note the iron window frames. The parts of the roof and the roof timbers of Baily's Shaft engine house survived well into the 1980s/90s perhaps due to its design which offered more protection? The engine in the house was a rotative beam engine built by the Bedford Foundry, Tavistock.